Martin Hayes is regarded as one of the most extraordinary talents to emerge in the world of Irish traditional music. His unique sound, his mastery of his chosen instrument – the violin – his acknowledgement of the past and his shaping of the future of the music, combine to create an astonishing and formidable artistic intelligence. 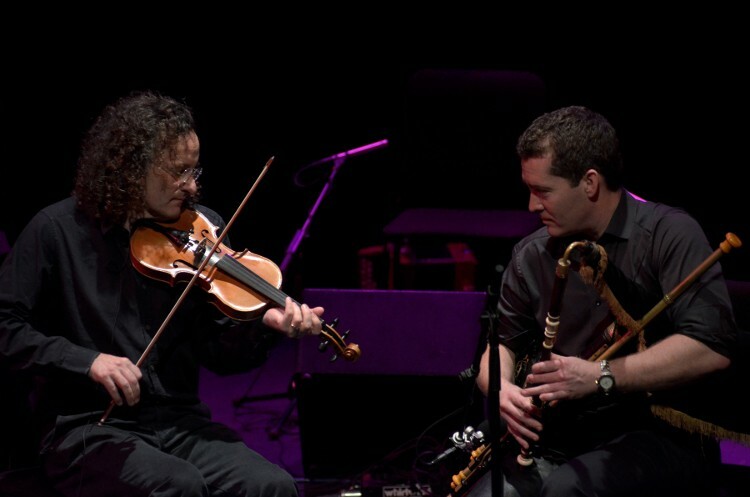 For this Out to Lunch special, Martin teams up with his frequent collaborator David Power, a master of the uilleann pipes whose career has encompassed All-Ireland medals, membership of seminal ensembles (including Masters of tradition), Broadway productions and several critically acclaimed albums.